Risky Business or Risky Politics: What Explains Investor-State Disputes? International investment agreements (IIAs) were designed to protect private actors from the risks inherent in investing in foreign states. However, critics argue that the tables have turned; due to the increasing and expansive use of investor-state arbitration, what was once risky business for investors has become “risky politics” for states. At the same time, proponents of investor-state dispute settlement mechanisms claim that only a very narrow range of measures can be challenged under international arbitration and that worries about “regulatory chill” are unfounded. The diversity of policy measures that have precipitated these conflicts demonstrates that the investment regime places obligations on states which may compete with domestic interests. While the curtailing of domestic “policy space” by IIAs has been widely proclaimed (and is, arguably, the explicit purpose of these agreements) the extent to which the regime actually impedes states in the normal course of regulating or reacting to crises remains a matter of debate. While previous studies have focused on the proportion of cases won by the respondent as a measure of the impact on states, this article argues that the types of policies and issue areas implicated in these disputes tell us a great deal about the effect of the regime on policy-making. This is particularly relevant given that investors may use the threat of arbitration to discourage states from enacting certain policies, and cases are often settled out of arbitration. Moreover, recent research has demonstrated that states experience a decline in foreign direct investment (FDI) inflows following an arbitration case, regardless of whether the tribunal rules in favour of the claimant or the respondent. Thus, arbitration cases may have an impact on the state, whether or not they win or lose. This article, based on a larger research project, provides some initial data to fill this gap in the literature: a statistical analysis of political and economic factors that contribute to the likelihood of an investor-state dispute; and a qualitative coding of measures which have resulted in arbitration cases. While there is a fair amount of scholarly work on the determinants of expropriation, we know less about the political and economic conditions under which the broader category of investor-state disputes take place. Disputes brought to arbitration often involve measures other than outright expropriation, and the conditions under which they occur may be different. Moreover, the relatively broad scope of protections found in many IIAs requires a more nuanced understanding of the causes of investor-state disputes under this regime. In fact, these disputes are testament to the competing pressures globalization places on states. As interstate relations are increasingly legalized, states are bound by numerous international agreements, while at the same time continuing to be beholden to domestic interests. Ultimately, the most straightforward interpretation of these disputes is as instances of changing state preferences, in which states renege on a former commitment to respect the rights of foreign investors. However, this approach in turn assumes that policy-makers are fully aware of the implications of these treaties, and that the measures they pass are purposively anti-investor. Given the vague language of IIAs, and the varying interpretations by arbitration tribunals, it is likely that policymakers do not, at least at the outset, have a high level of awareness of the implications of the regime. This final point brings us to the limits of a quantitative analysis of the determinants of investor-state disputes – qualitative case studies may be necessary to tease out if and how investment concerns are brought into policy making decisions. However, the following provides some initial findings that can guide further research in this area. This study is based on a dataset of investor-state disputes from 1990-2012. All countries that have signed an IIA or free trade agreement with an investment chapter allowing for ISDS were included – 147 in all. 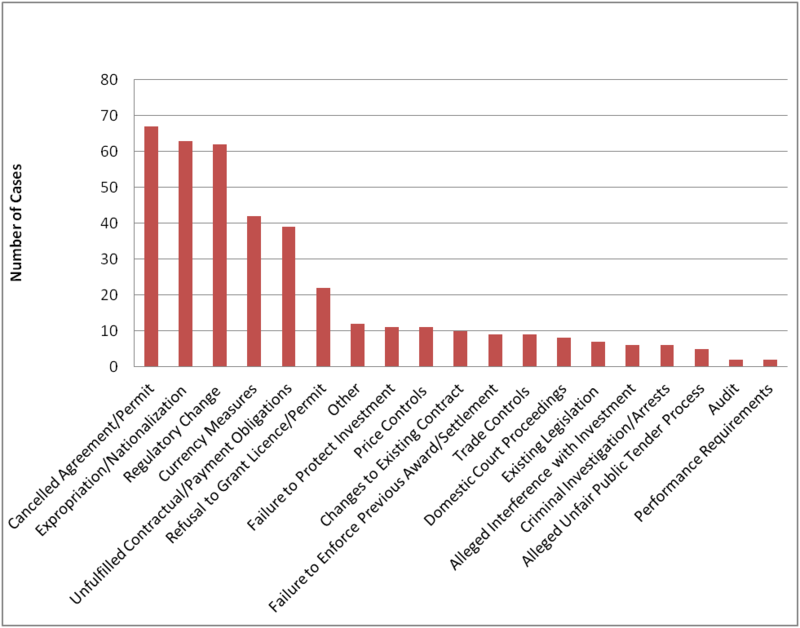 The most frequent respondent states are displayed in the chart below. These states are a mix of high-, low- and middle-income countries. 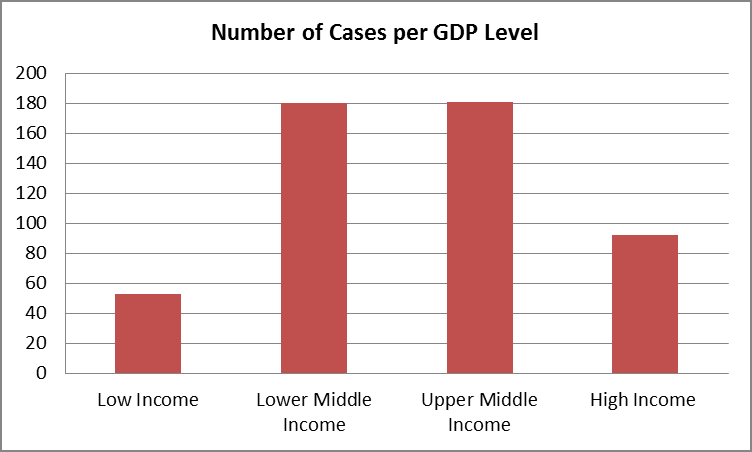 However, in the entire sample of states that have been involved in at least one dispute, the mean GDP per capita is US$8,885 , which is squarely in the middle income range. The majority of cases involve oil, gas and mining (33 per cent); and electricity and other energy (16 per cent); with construction, telecommunications, finance, and agriculture also appearing among the top ten industries. The variables are grouped into categories of economic, political and exposure-related indicators. The latter refers to the exposure a state has to potential lawsuits, through the overall amount of FDI it hosts, and the number of treaties it has signed. A panel logistic regression was used to test models based on the groupings of economic, political and exposure related variables. The three models were tested separately, as well as a full model including all the variables. All variables were lagged one year to account for the length of time it takes for an investor to register a case. The economic variable of interest with the most significant impact on the likelihood of a dispute was simply the amount of overall FDI hosted by the state. As expected, the GDP per capita was negatively correlated with the likelihood of a dispute, but as can be seen from eyeballing the distribution of investor-state disputes, they are heavily concentrated in middle income countries. Also as predicted by the literature, fuel exports as a percentage of GDP was positively though insignificantly related to the dependent variable. Interestingly, the economic crisis variable was negatively correlated with the likelihood of a dispute, suggesting, as some scholars have noted, that the disciplining effect of the market may induce more investor-friendly behaviour during times of crisis. The models using political/institutional variables yielded further interesting results. As predicted, both the measurements for veto players and the control of corruption were negatively correlated with the dependent variable, while transition economies were significantly more likely to be involved in investor state disputes. Countries with a presidential system were less likely to be engaged in an investor-state dispute, which may be related to the configuration of veto players in these systems. A leftist executive government positively, though insignificantly increased the likelihood of a dispute. Contrary to the predictions of the bulk of the literature on expropriation, a state’s democracy score was positively and significantly associated with the likelihood of an arbitration case, though with only a weak effect. One possible explanation for this result is that democracies attract more FDI and thus have a greater likelihood of being involved in a dispute with an investor. Finally, the measures related to a state’s “exposure” to the investment regime – NAFTA membership, number of IIAs signed, and as mentioned above, FDI stock – were all positively associated with the likelihood of a dispute. NAFTA membership had a particularly strong effect, implying that comparatively more investor-state disputes are filed under NAFTA than any other investment treaty even when overall investment levels are controlled for. This suggests that perhaps one of the biggest drivers of investor-state disputes is the investors themselves. Qualitative coding of the measures taken by states that prompted an investor to go to arbitration was also undertaken for 490 investment cases. Information about these cases was drawn from a variety of sources, including the International Center for Settlement of Investment Disputes (ICSID) list of pending and concluded cases, the Investment Arbitration Reporter news service, and other online collections of case proceedings and awards. The dataset contains ICSID cases as well as those carried out under the rules of other forums. The information collected about the cases includes the industry of the investment; the outcome of the proceedings; the measure taken; and finally “object” and “source” of the measure. 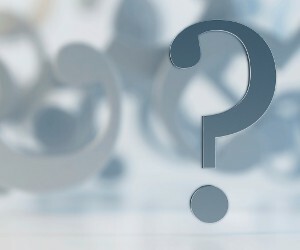 The former refers to the whether the measure was directed to a specific investor (for example the denial of an operating permit) or is more general, for example directed at all firms operating in a specific industry (such as the withdrawal of subsidies or the ban of a certain activity). The “source” of the measure refers to whether it was an administrative, legislative or judicial decision. The results of the coding of the type of measure are displayed in the following chart. Includes ban on wind farm expansion; nuclear phase-out; and fracking. Includes plain cigarette packaging; withdrawal of subsidies; pricing of utilities. The currency measures category represents cases relating to currency devaluations or controls and includes measures taken during the Argentine financial crisis, which make up the majority in the category. Finally the category of failure to protect investment refers to investor claims regarding terrorist attacks; damage caused by protestors; squatters and thieves. Specific measures, targeted at a single or small group of investors, made up 66 per cent of the measures coded, while 32 per cent were aimed at an entire industry or the general public. Two percent of the measures, corresponding to instances in which the investor claimed that the state failed to protect the investment were coded as “not applicable”. Eighty-five percent of the measures were administrative decisions, originating either from the executive branch or other organizations affiliated with the state, including regulatory agencies and state-owned businesses. Legislative decisions made up 11 per cent of the measures coded, and 2 per cent were judicial decisions. Again, 2 per cent of the measures were coded as “not applicable” when a lack of action rather than a purposive measure triggered the dispute. It is clear that the dynamics underlying expropriations play an important part in explaining conflicts under the broader category of investor-state disputes. As is suggested by the statistical analysis, when corruption or unilateral action by the executive are constrained, the likelihood of a dispute decreases. Moreover, transition economies, many of which experience high levels of corruption, are much more likely to be involved in conflicts with investors. However, outright expropriations make up 16 per cent of measures taken which trigger an arbitration process – far from the majority of all cases. In fact, regulatory changes have motivated investors to go to arbitration as often as expropriations. Perhaps more telling are the sources and targets of the measures. The overwhelming majority are administrative decisions, with most also targeted at a specific investor. On the one hand this may ease the fears of critics of the investment protection regime – very few of the cases directly involve legislative decision-making. Of course, this cannot be understood to mean that all administrative decisions or targeted measures are divorced from public pressure or are not taken in the public interest. Moreover, the majority of disputes are related to investments in politically sensitive industries – oil, mining and gas; electricity and energy; construction (often of large infrastructure projects); and telecommunications are all generally related to the interests of the broader public. In the extractive industries especially, many decision-making processes, although undertaken by the bureaucracy, involve substantial public participation during the application stage, and the rejection of projects due at least in part to public pressure has led to a number of cases. The concentration of disputes in middle income countries is also telling. This may be best explained by the fact that these countries host more FDI than the poorest countries, while also having lower levels of administrative capacity than developed countries. However, there may be additional factors at work here: these countries may in some cases be faced with strong domestic pressures that relate directly for FDI. For example, pressure to provide universal service for telecommunications and public utilities has led to the use of price controls as a developmental tool. While countries must treat foreign investors fairly, we also expect them to be responsive to the demands of their citizens. Finding a balance between the two may be difficult, especially if policymakers are unsure of the implications of IIAs, and when the strongest determinants of investor-state disputes appears to simply be the amount of investment hosted by a state. Author: Zoe Phillips Williams is a PhD candidate at the Berlin Graduate School of Transnational Studies. Susan D Franck, “Development and Outcomes of Investment Treaty Arbitration” (2009): 1–56. Todd Allee, Lincoln Hall, and South Wright Street, “Contingent Credibility : The Reputational Effects of Investment Treaty Disputes on Foreign Direct Investment” (2008). This article presents the preliminary findings of the author’s doctoral thesis. This work expands on the findings in of the large-N study with case studies in Canada, El Salvador and Hungary. An exception to this is Nathan W. Freeman, “Domestic Institutions, Capacity Limitations, and Compliance Costs: Host Country Determinants of Investment Treaty Arbitrations, 1987–2007,” International Interactions 39, no. 1 (January 2013): 54–78. Taken from the dataset on economic crisis by Reinhart and Rogoff . A binary variable that includes: currency crisis, inflation, stock market crisis, sovereign debt crisis and banking crisis. As indicated by the Polity IV score, which awards countries a score from -10 (autocracy) to 10 (democracy). Refers to the actors, usually within government, whose agreement or consent is required to alter the status quo See: Tsebelis, 2002. Indicator used developed by Witold Jerzy Henisz, “POLCON_2005 Codebook,” 2013. State belonging to the former USSR. A binary variable provided by the World Bank Database on Political Institutions. Originally, other agreements with dispute settlement clauses such at the ECT and CAFTA were included, but had no effect on the dependent variable. They are however included in the variable for number of treaties signed. This means that in fact, the dependent variable was a binary variable, coded 1 if at least one case was registered in a given year, and 0 otherwise. While this results in a loss of data for some years in which many cases were filed, it perhaps more representative when the goal is to understand the state’s role in investor-state disputes, as one state measure often triggers a number of cases. Nathan M Jensen, Noel P Johnston, and Chia-yi Lee, Crisis and Contract Breach : The Domestic and International Determinants of Expropriation (St Louis, 2013). Higher scores are “better” for both variables. 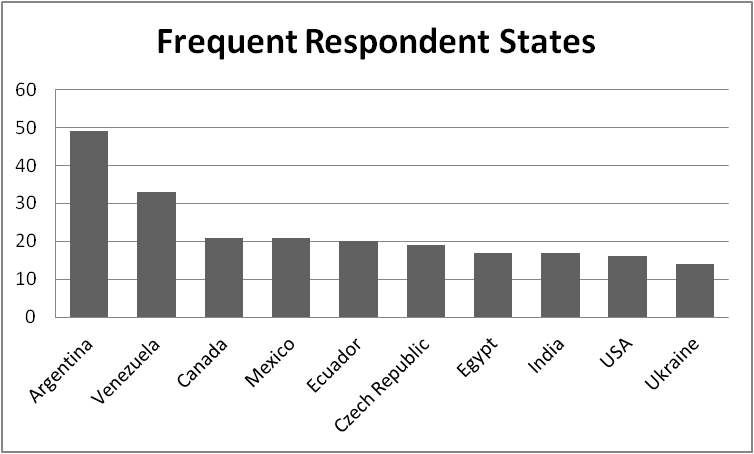 The correlation between stock of FDI and the states’ Polity scores is 0.17. Sufficient information was not available for the remaining 48 cases which were included in the statistical analysis. For example: Bilcon of Delaware et al v. Canada; St Marys Cement v. Canada. Markus Krajewski, “The Impact of International Investment Agreements on Energy Regulation,” in European Yearbook of International Economic Law (EYIEL) Vol. 3 (2012), ed. Christoph Herrmann and Jörg Philipp Terhechte, vol. 3 (Heidelberg: Springer-Verlag Berlin Heidelberg, 2012), 343–369.